This week’s Cribs episode takes us to the pup-friendly headquarters of peer-to-peer dog sitting platform DogVacay. Sometimes referred to as “the Airbnb for dogs,” DogVacay’s office space is next to where Hollywood produces many of the industries blockbuster hits in Santa Monica, California. The office dog is a now a part of many office environments, but it’s a special thing to bring your puppy to your place of employ when the whole focus is solely on them. TechCrunch cameraman Yashad Kulkarni films one of the cuddly canines at DogVacay. It’s most definitely all about canine kind inside DogVacay’s light and open office space. Co-founder Aaron Hirschhorn told me during our visit that about 40 to 50 dogs show up on a daily basis and that the space is designed to keep down pet dander and noise. He also mentioned special carpeting makes it easy to pick up any little accidents. This place goes to the dogs, but in a good way. 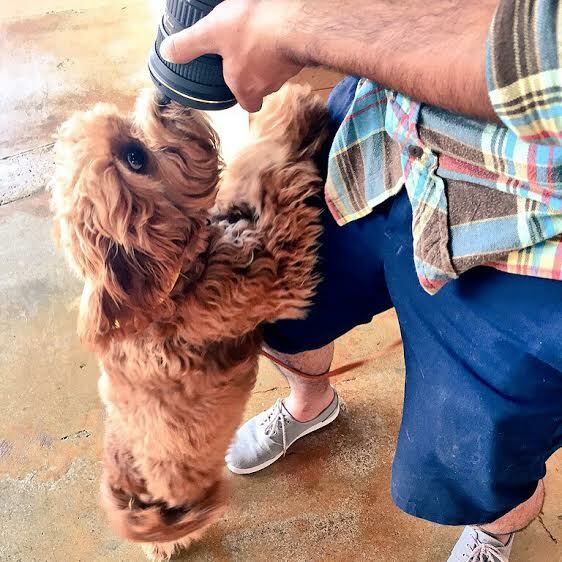 Pet perks include doggie lunches, office dog walkers and of course, so many adorable pups scampering about. Check out the video above to see my interview with Hirschhorn and get a look at what it’s like to work with that many hounds running around your desk every day.